The women were all smiles as they lined up to vote in Kuwait today. 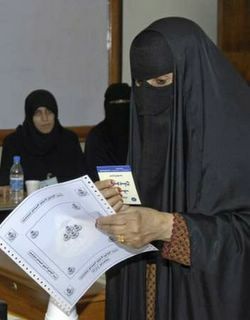 Two women are also among eight candidates running for the seat in the Salmiya district, south of the capital. The 28,000 eligible voters, 60% of whom are women, are voting in segregated polling booths, a condition demanded by Islamist and tribal MPs. Women were granted equal political rights last year and will vote in full legislative polls in 2007. 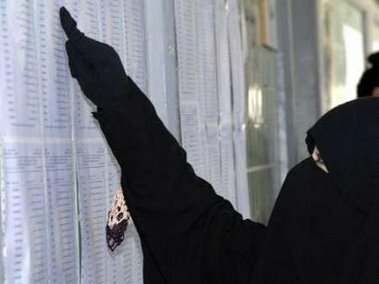 Voting was reported to have begun slowly, as Tuesday is a normal working day in the conservative, oil-rich state. Some argue that the Muslim country of Kuwait, a strong US ally, is becoming too progressive with its policies.